Here is a compilation view of the 4 playable races’ concepts, so you can better compare them side by side. 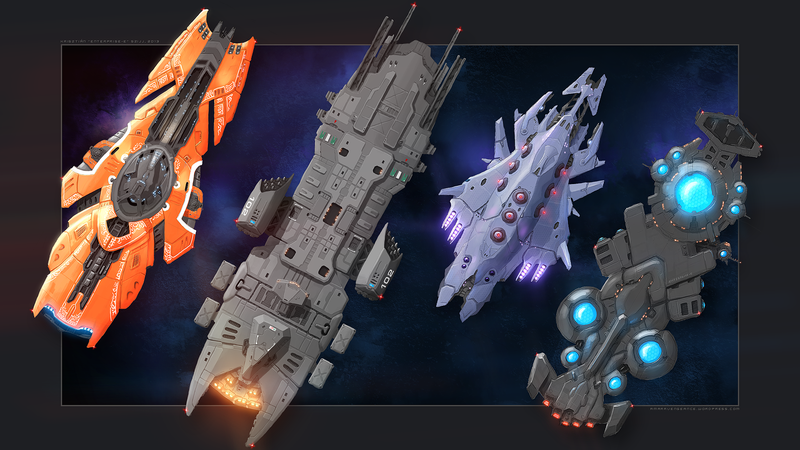 Relative ship sizes are roughly as i envision them in the game, with ‘heavies’ being the largest, and ‘fast race’ being the smallest. In my last post i tried to do a ship in 3D. While im satisfied with the looks, the process of modeling them in 3D is just too slow for the amount of ships i would require. I might still finish the 3D Fast Boss eventually, but working out the art pipeline for the MMO is top priority. 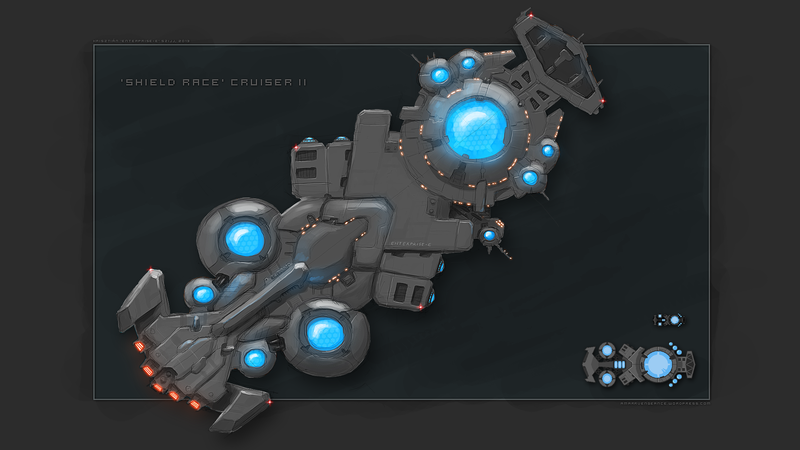 So, as a next try i did a rough concept of one of the ‘Shield race’ ships. I like how it turned out, and also, the amount of time needed was acceptable. Best of all, i don’t need to do this for all the ships, just one per race, because it basically lays down the updetailed characteristics for the given race. So, this is how the ‘Shield race’ ships would look like in the MMO. In the lower right corner you can see the original Star Temple TD sprite and it’s source artwork. Like StarTemple TD on facebook!